Price of a Litecoin has skyrocketed by more than 10000% during 2017 and its falling prices is the sign that you should venture in because most famous investment rule says, "Enter when its low and Exit when you feel its high". Please don't get carried away, we are just talking about the market. Litecoin (LTC) is the 5th largest Cryptocurrency by market capitalization as per Coinmarketcap.com at the time of writing this article. Obviously, first is the Bitcoin and other places are being hold by Ethereum, Ripple and Bitcoin Cash in descending order. Litecoin was developed as a Bitcoin (BTC) alternative on 13th October 2011. It was designed to be 'lightweight', therefore, the name 'Litecoin' has derived. A total of 84 million Litecoins can be produced on the network as compared with 21 million BTC. 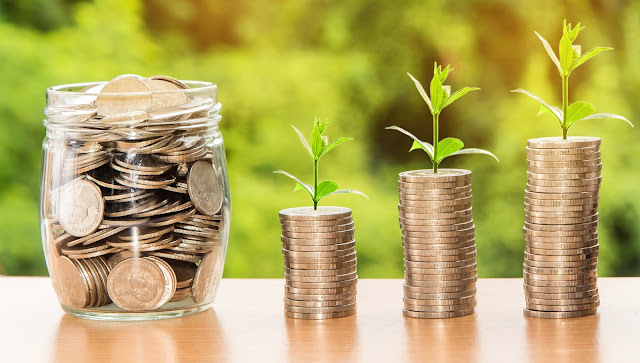 Before you Start buying Litecoins, we recommend that you should always do your own research before investing funds, and do not risk amounts you cannot afford to lose. Out of these platforms, we believe one of the most safe and secure platform is Coinome as it is backed by Billdesk and it is the one which is easy to use. Billdesk is the company which provides payment solutions in India and company is associated with payment gateway services from last one decade. Therefore, we believe the Coinome platform is Safe and Secure to login. So let us get started with buying the Litecoins. Please follow the following steps. 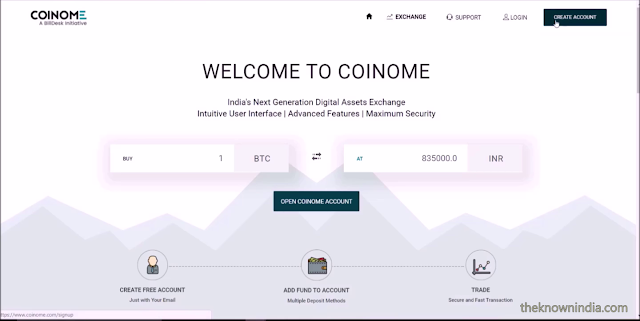 Guys, when you will visit the coinome.com then click on the tab which read as " Open Coinome Account" in the middle of the page. Next screen will ask you to fill in your Email ID and you will be asked to set a password for your Coinome account. Password must be 8 character long and it must contain 1 uppercase, 1 lowercase, 1 number and 1 special character. After you fill in the details, check on the agreement and awareness statement after reading the same. Then, submit the details. 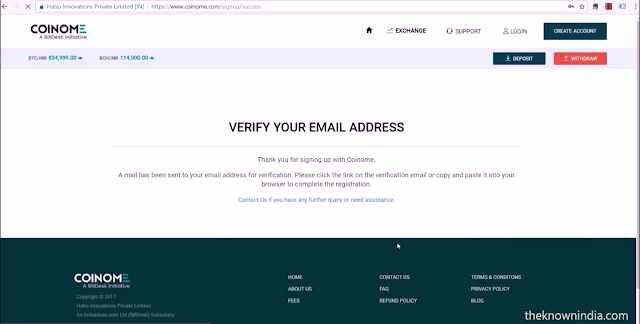 Click on the link, you might have received in the email and a new browser tab will open automatically confirming the verification status of your Email. You must re-login to your Coinome account with the set password and user id. An OTP will be sent to your registered Email ID. After logging in, click on the profile in the upper right corner and go to KYC status tab. Provide your mobile number for verification and verify with the OTP received on your given mobile number. Now it is the time for your Aadhar verification. Make sure your mobile number is registered with Aadhar database so that you can receive OTP from Aadhar portal. Enter your Aadhar number and click on 'Generate OTP'. After punching in the OTP, you should check on the agreement statement in order to proceed further. Please note that you will be providing this data on Aadhar portal, if you wish to provide. After verification, you will be notified that your KYC is successfully updated. In order to avoid any money laundering activities, these exchanges ask you to confirm your bank details. 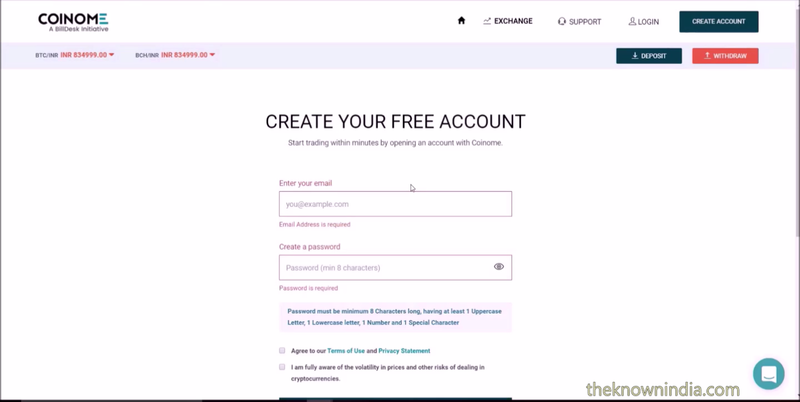 You must provide your bank details in order to trade. 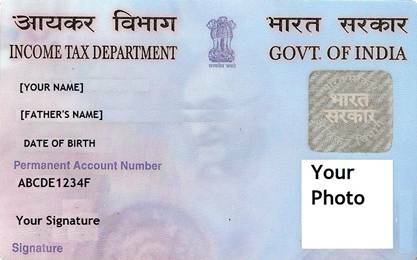 Fill in your Bank details like account no., IFSC code, Bank name etc. After saving your bank details, website may prompt you to verify your bank account. In order to do so, you must upload one of the 3 documents asked. Easy way to complete the bank verification process is to upload a cancelled cheque. A cancelled cheque is the one when you diagonally strike it and write 'Cancelled' in the middle of it. Please note that cancelled cheque need not be signed by the account holder. It helps the receiver of cancelled cheque to cross verify your details given in the cheque with the details you have provided in the previous step. After uploading the cancelled cheque, you will receive a confirmation email in the given period. Once your bank account is verified, you are all set to trade but first you must load your wallet with fiat currency (means Indian Rupees). Go to the deposit tab and click on the deposit radio button given against the fiat currency header. It will return with 2 option to load money, one is to transfer the funds in the account given on the screen and other one is net banking. Hassle free way to upload money is net banking option. Once you click on the net banking option, it will take you to payment gateway (supported by Billdesk). Here, you need to select your bank and complete the transaction following the directions on the screen. In order to buy Litecoin, you must click on the exchange tab. Select the desired crypto currency, at Coinome one can buy Bitcoins, Bitcoin Cash and Litecoin at present. In order to buy Litecoin, select the Litecoin from the middle left drop down menu. Now, to buy Litecoin, you must enter the Price and Amount. Price is the Last traded price of the Litecoin which you can see on the top of the screen. If you wish to enter any other price, you can do so. Your trade will be completed if the price will come to that level. Amount need not be required to the price of 1 Litecoin, like Bitcoin one can buy Litecoin in fraction. After punching buy button, you will receive the confirmation notification regarding your successful trade. You can check the balance in the upper left corner of the screen. 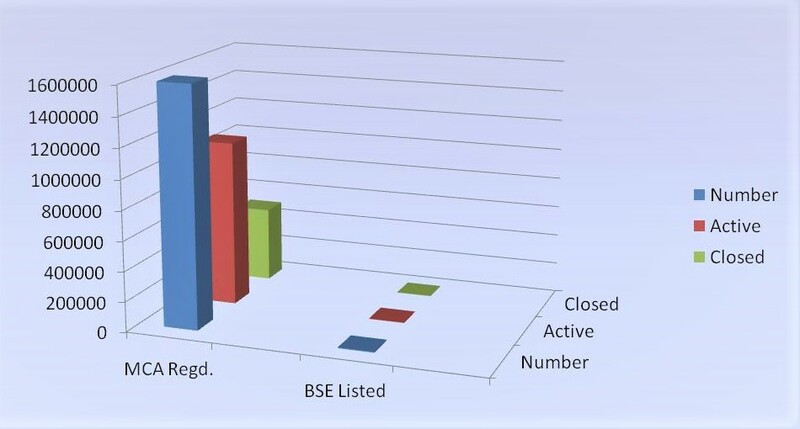 Now if you wish to sell it, you have to follow the same process on the sell side of the screen. If you have liked this post then please spread the word, which will inspire us to bring more good contain like this. Please subscribe to the website by clicking on subscribe button given on the top and don't forget to hit the like button. Have any questions in mind? Comment below.